Product #46795 | SKU 26795 | 0.0 (no ratings yet) Thanks for your rating! 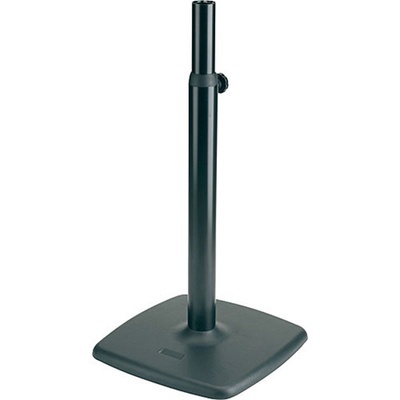 The K&M 26795 80-135cm Steel Monitor Stand in black is an incredibly stable stand with a wide cast iron base. The oversized rod combination and superior positioning clamping knob lets you get exactly the right height. Select one of the three available bearing plates to get the best fit for your monitor. Incredible Stability: This steel stand with cast iron base is very stable and the addition of the oversized rod with clamping knob ensures you settings are firm.